It might be the dead of winter, but roses are in bloom on Park Avenue. A new public art exhbit called "The Roses," places 38 massive, vividly hued sculptures on Park Ave between 57th and 67th Avenues. 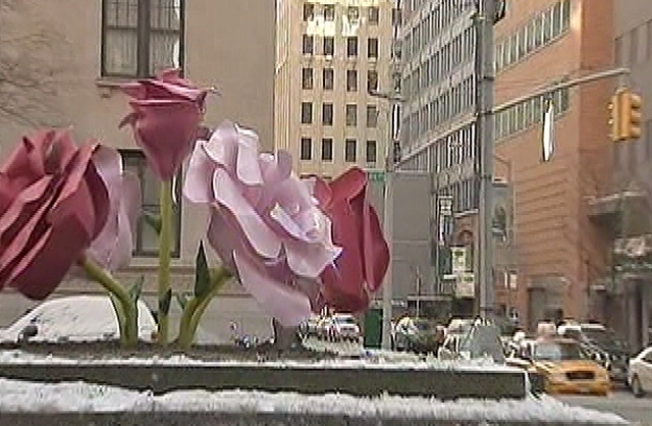 "Park Avenue is known for its beautiful floral displays and Will Ryman’s massive roses, ranging between three and twenty-five feet in height, will enliven the area throughout the winter, in anticipation of the arrival of the tulips in the spring,” said Parks & Recreation Commissioner Adrian Benepe. The exhibit will run until May.